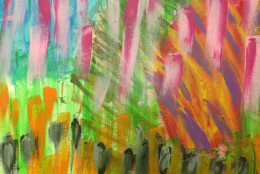 using abstract painting & the language of color. "Jennifer has an amazing ability to connect and support her clients as they are revealing their hearts and souls through their artwork. Her professionalism is only matched by her passion for art, the journey to healing, and compassion for those on the journey. She uses her ability to join in the moment of pain to usher you into a moment of clarity. I strongly recommend HEart HEALS and look forward to continuing to work with Jennifer in the future to bring people to another level of healing." 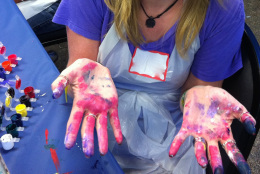 Check out testimonials from those who have attended our workshops. 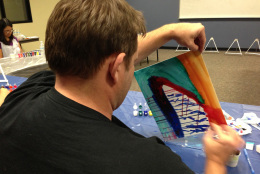 Take a look at pieces from HEart HEALS Workshops. Contact us if you would like to arrange for a Private Group Workshop. Stay up-to-date with current workshops and events! Don't miss the opportunity to see what we're up to, or participate in upcoming HEart HEALS workshops. You have successfully signed up! We'll keep you up-to-date. We will only send you HEart HEALS related news and will never spam you.